← Game of the Round Awards 1 & 2! For Jalgaon Battlers, Koneru Humpy, Sunilduth Narayanan and Narayanan Srinath notched expected victories while Swapnil Dhopade, the first GM from Vidarbha did a good job to hold seasoned Abhijit Kunte to a draw. Mohammad Nubairshah continued to impress with another consistent performance holding super GM B Adhiban to a draw as did Aakanksha Hagawane holding a higher rated Akash Thakur, which was like a bonus point for Jalgaon Battlers. For Mumbai Movers, it was an inspired effort against Ahmednagar Checkers with Abhijeet Gupta and Diptayan Ghosh cruising to expected victories but it was Swati Ghate and Rakesh Kulkarni who brought about upsets to propel their team into the first four and suddenly have qualifying chances. 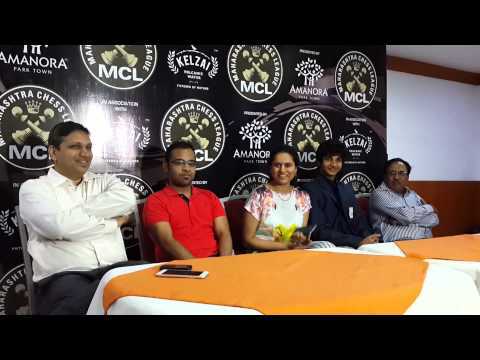 For Pune TruMasters Rucha Pujari held higher rated WGM Soumya Swaminathan to adraw and debutant Harshit Raja defeated higher rated Aniruddha Deshpande. 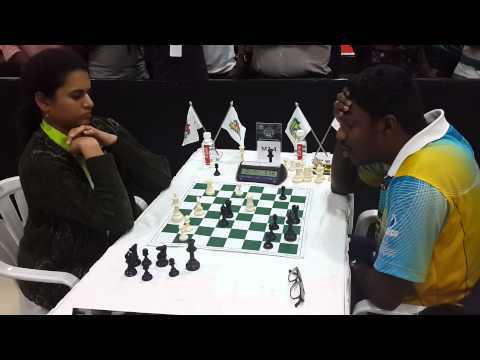 Vishnu Prasanna defeated Padmini Rout and Sethram’s experience was enough for his to sight victory against teen talent Aravindh Chithambaram. The event started as a six team All play all one- with each team fielding six players, a GM, two woman players, an unrated players with mandatory three Maharashtra players to be fielded in each round. 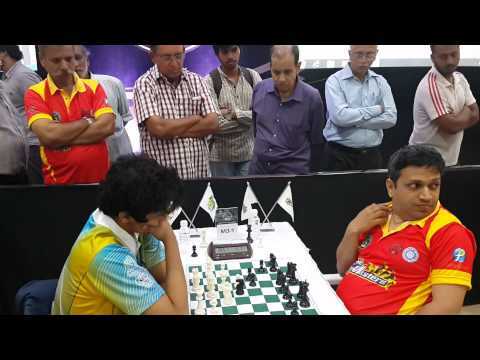 The players perhaps had warmed up after three rounds or the threat of elimination had them glued to their boards for a long time with most of the team owners hovering anxiously at the PYC Hindu Gymkhana where the fourth and fifth round of the Persistent Maharashtra Chess League 2016 was played. Jalgaon Battlers topped the points tally with 18 points after the completion of the Round Robin League. Pune Sangli Navigators finished second with 17 points, Pune TruMasters figured third with 16.5 points and Mumbai Movers who were languishing way down at the bottom rose to the occasion and with some heavy scoring finished fourth with 13.5 points. All these four teams made it to the next stage, that is the knock-out stage of the event. 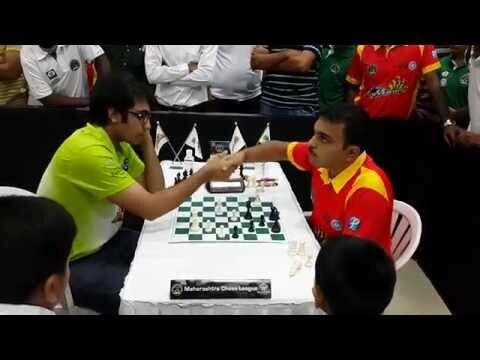 Ahmednagar Checkers and Thane Combatants both tallied 12.5 points and are eliminated from the event. Tomorrow in the first Qualifier 1, Jalgaon Battlers will match wits against Pune Sangli Navigators and the winner will directly advance to the finals. The loser then in Qualifier 2 will play against the winner of the Eliminator clash between Pune TruMasters and Mumbai Movers with the winner entering the finals. In the fifth round Pune TruMasters drew Jalgaon Battlers 3-3 while Pune Sangli Navigators managed to edge out Ahmednagar Checkers 3.5-2.5. Mumbai Movers then held Thane Combatants to a 3-3 draw. Interestingly the fifth round did not produce any big upset. 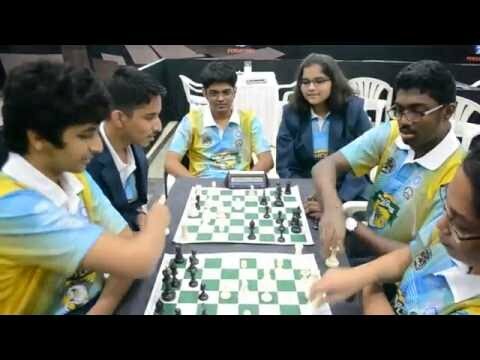 The fourth round highlight was maximum decisive results, prominent being Mumbai Movers moving magnificiently to defeat Ahmednagar Checkers with a whopping 5-1 score. Overnight sole leader Pune Sangli Navigators who had been zooming at a good pace were stunned 1.5-4.5 by Jalgaon Battlers. 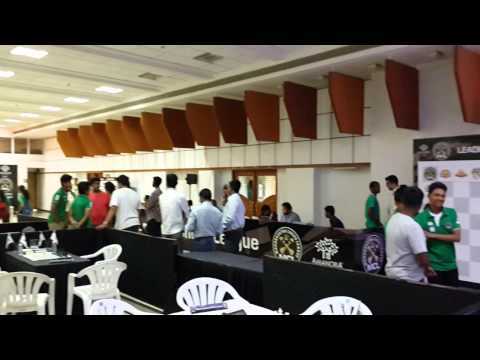 Pune TruMasters, not to be left behind also handed a 4-2 defeat to defending Champions Thane Combatants. 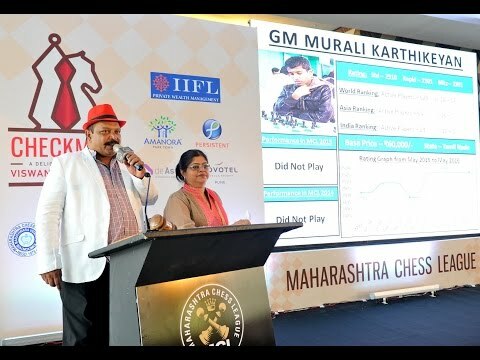 Nrayanan Srinath notched his fifth victory on the trot while the highest rated player in fray Krishnan Sasikiran crashed to defeat against Vikramaditya Kulkarni after blundering in a winning position in the fourth round, this incidentally being his second one in this event.